It is in this generation that a lot of people can access to credits. Even if the people cannot actually afford to buy the products and services that they want, they are able to find the means to avail the things and services through credit. However, as the payment due date comes, it causes headaches to a lot of business owners, including heir staff, because their customers would fail to pay on time. There are some who would pay late and the worst case is that there are a lot who do not pay any more at all. As the number of people availing credits arises, the need for business owners like you to manage credit-related problems increases as well. That is when the role of credit policies and procedures come into play. Credit policies and procedures enable you to manage your existing as well as incoming customers and most importantly, to keep your business going. 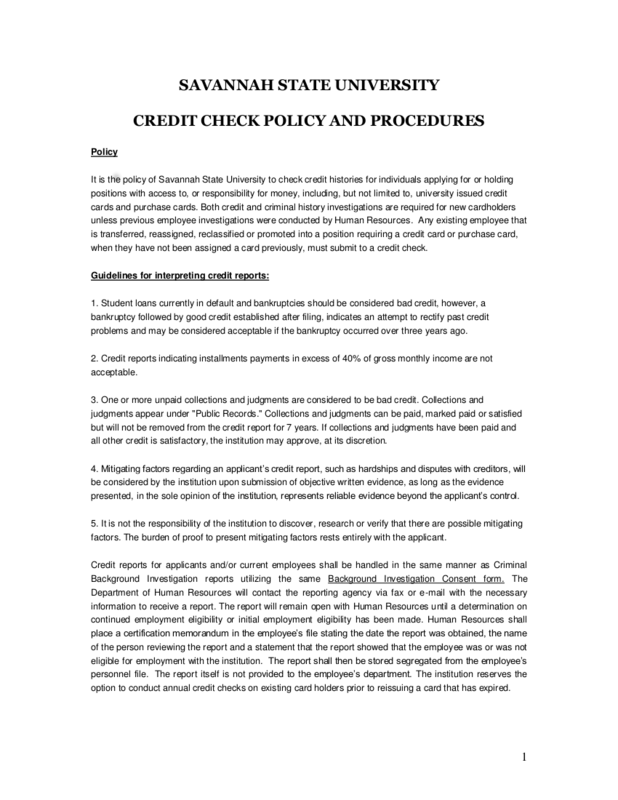 Credit policies and procedures contain the steps on what actions you should take when you or your employees would encounter credit-related problems, such as the failure of customers to pay on the set due date. You and your staff would also know how to confront such customers with respect and understanding for whatever their reason is. You would also be able to double check the credit-related background of your customers such as whether they have a credit history that may be of use or basis whether you should let him or her avail of your services. 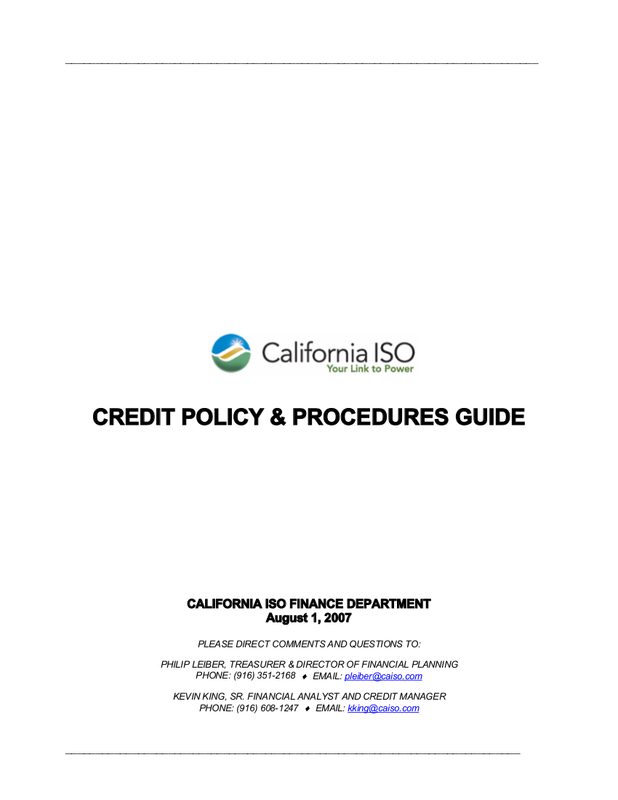 We give you ten examples of credit policies and procedures in this article that will serve as your guideline in making and updating your own set of credit policy and procedures. Credit could be a borrowed money or a method where your customers can avail your products and services by paying it on a time or day later than the day of purchase or availing of the service. 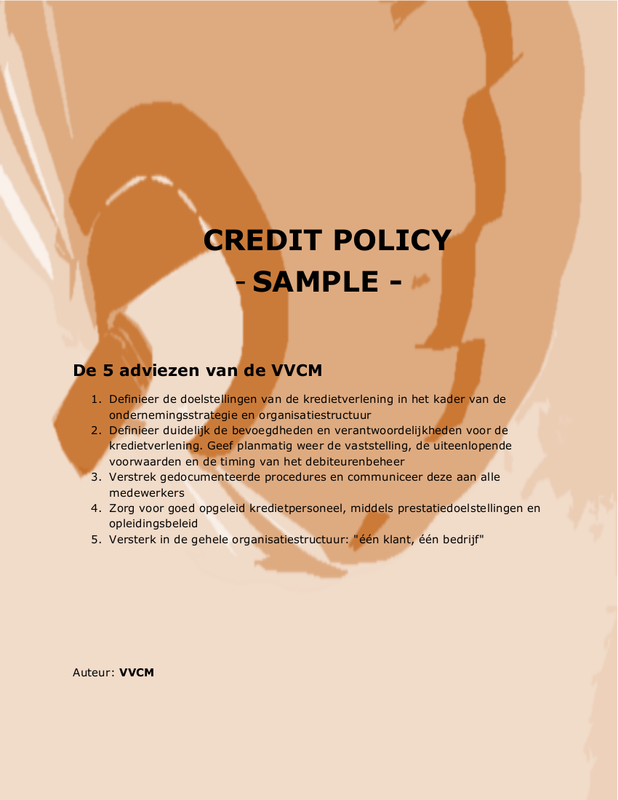 What Is a Credit Policy and Procedures? 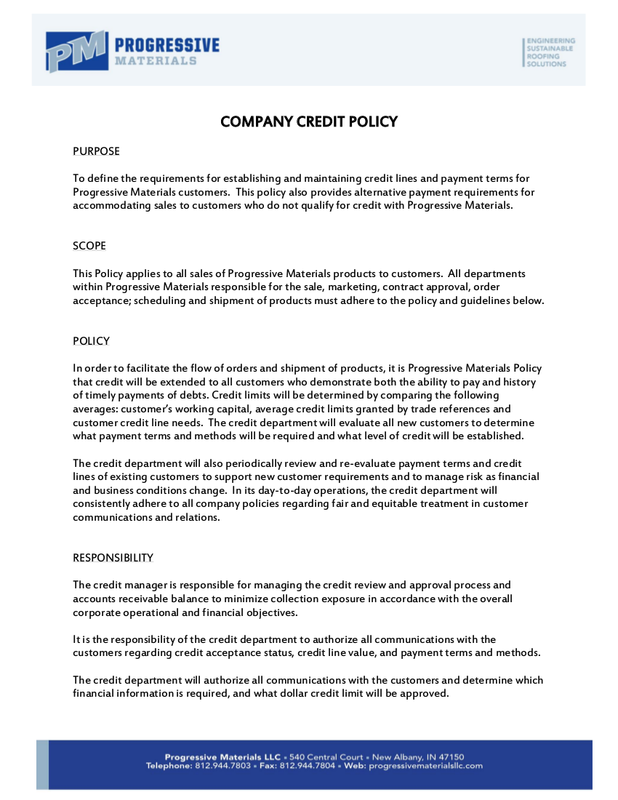 A credit policy and procedure is the company’s guideline or rule book that contains the procedures to follow when a customer is availing credit. It is used to determine when the customers are billed and also identify whether they are qualified to avail of a creditor of an extension. Credit policies and procedures also set the terms and conditions between two parties, you as the business owner and the customers, to which both of you will agree and sign. There are four types of credit, namely: Revolving credit, is when a customer is given a maximum credit limit and a perfect example for it credit cards; Charge cards, these are similar with revolving credit only that the customer is ought to pay the total balance monthly; Service credits, the types of products and service a customer can acquire from service credits are cellular phones, cable connection, internet service provider, gym membership and a lot more; and, Installment credits, this type of credit enables you to apply for a loan with an agreement on when your fixed and scheduled bill dates are; most installment credits involves interest rates on top of the loaned money you receive and its perfect examples are car loans and house loans. What Are the Benefits of Credit Policies and Procedures? The most obvious benefit of a credit policy and procedures is that it will ensure that your customers will be paying on time. Most credit-related businesses deal have a common problem and that is during the collection date, there are only a few to zero customers who are paying on time. But with the help of an effective credit policy and procedures, you already have an effective way of managing your customers. You can make it clear to them their responsibilities and that your staff would also know how to handle your customers well even if they come into your office explaining they still cannot pay on the due date. Your credit policies and procedures also guarantee customers that they are to be given appropriate credit terms. Your staff would also know how to deal with customers who are past due. Your staff can list down the possible things or measures they can do in dealing with such customers. When it is already past the due date, you can always give them a call and hear them out. If they would intentionally not answer your call, you can always pay a visit. Those are the most basic things to do in dealing with customers who are past due. There are some customers who will be at your workplace, give you a phone call, or some will even send an email or a text message on the due date but they are not there to pay but to explain why they cannot pay. There is always the possibility that they could be just making things up. Now what your staff can do is to list the most common excuses they can hear from such customers as well as an equivalent action plan. The benefit here is that you would already know how to respond with such alibis since it is not your first time hearing such kind of alibis. Your credit policies and procedures do not have to be lengthy, rigid, or inflexible. It can be short but it is already filled with all the necessary details and content. But the best result any business will achieve with a good and well-written credit policies and structures is that your customers will pay faster and on time on the due date and it will result to the improvement of your business’ cash flow. 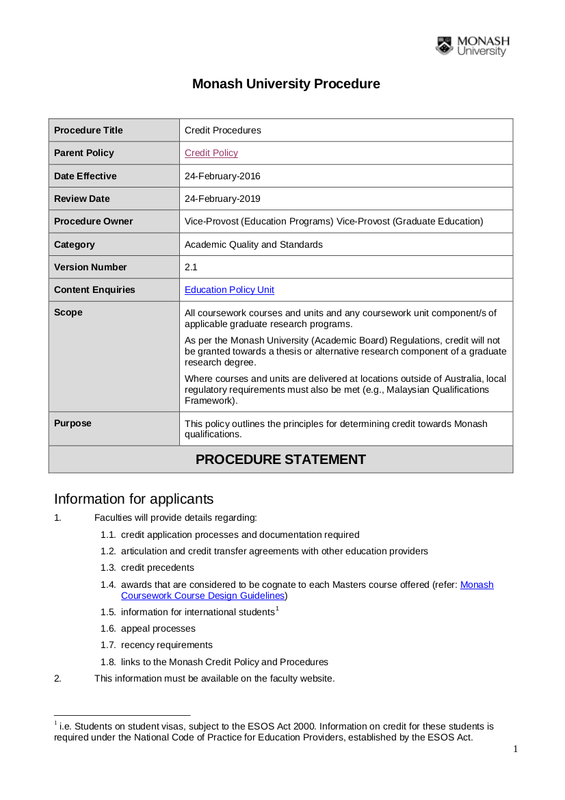 What Are the Objectives of Credit Policies and Procedures? Credit policies and procedures aim that credit is a privilege to worthy customers. 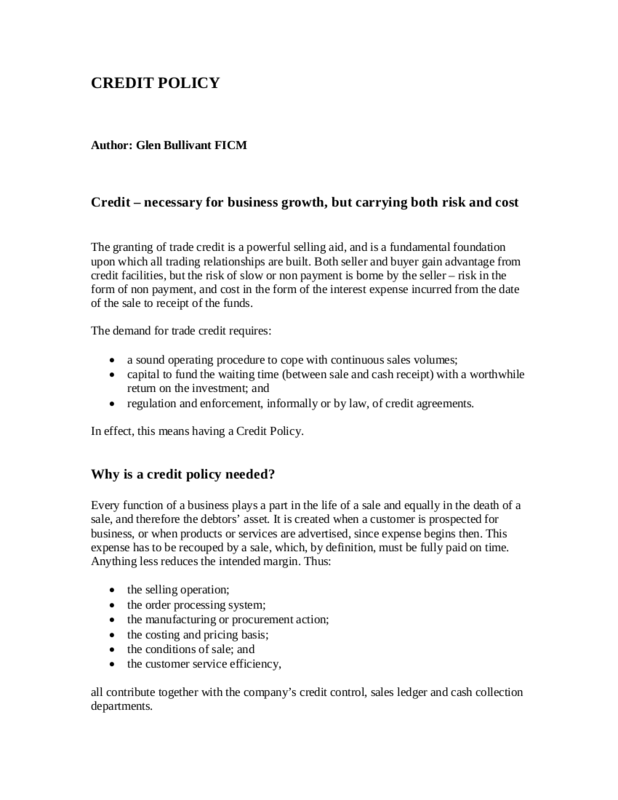 Credit policies and procedures aim that no one else aside from the customer is extended with the credit. Credit policies and procedures aim that the existing customers are able to pay the credit amount on the specified and scheduled due date. Make sure you clearly identify the roles and responsibilities in your credit policy and procedures. 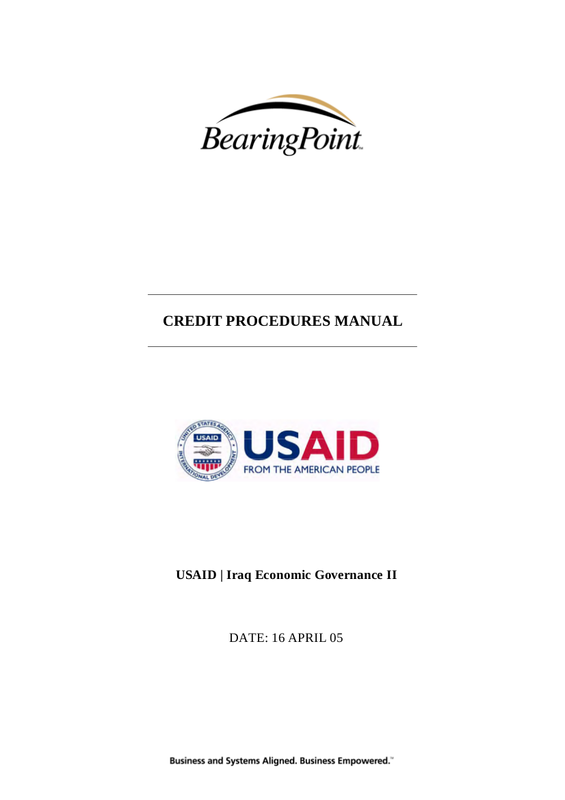 State the department or position that will handle all credit-related transactions as well as what are the authorized people ought to do and what power do they have in decision-making. Before taking in a customer, make sure to trace their credit records. But do not only focus on the would-be customers; you might as well look on to the current ones as well. 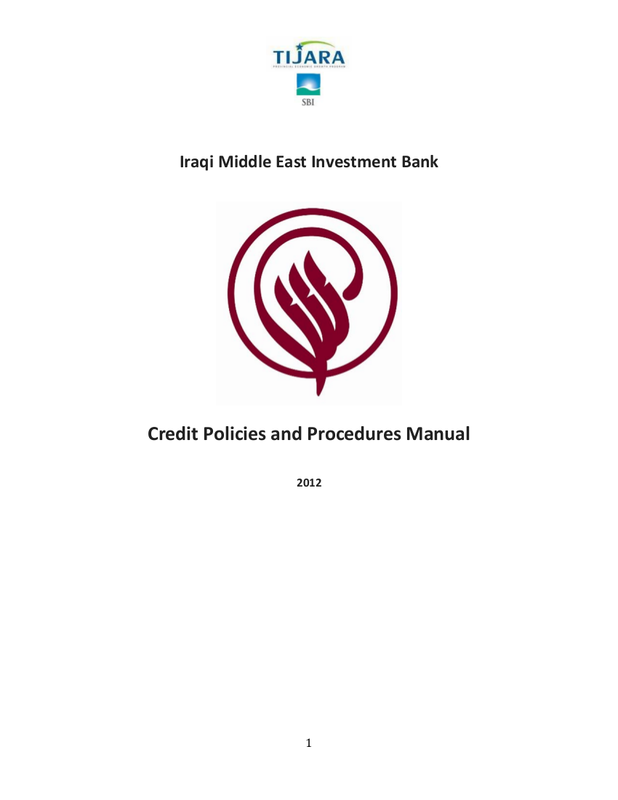 This is to ensure that you would not encounter problems regarding their financial positions. Take for example you have a current customer who has questionable credit records or has availed credits from other companies and has not been paying ever since. And when the due date of the payment comes, you would be approached by this customer who might say that he or she does not have enough money to pay yet. What if he or she uses this scheme with other companies and has caused major financial drawbacks to your business. That is why you have to make sure that you know your customers’ credit background in order to check if they religiously still paying for it or they doing some shenanigans that they might also do to your business. Terms and conditions are vital for the protection of your business. When things could go wrong between you and your customers, you have their signed terms and conditions in order to ensure your business. Some of the things that you should include in your terms and conditions are: invoicing, collections, evaluation, and choosing reliable credit partner. What Makes a Good Credit Policy and Procedures? A good credit policy and procedures clearly indicate the method o how you are going to acquire your customers, what information you need from them, and what is the minimum and maximum amount of credit you are willing to offer. A good credit policy and procedures are clear enough to be understood well by the customers and that they can easily understand how your business goes. A good credit policy and procedures are well-detailed enough that it can avoid any legal liabilities. A good credit policy and procedures ensure that any of your business processes will run smoothly both for you and your customers. A good credit policy and procedures help you in facing customers who fail to pay on the due dates as well as the way you should be accommodating them.